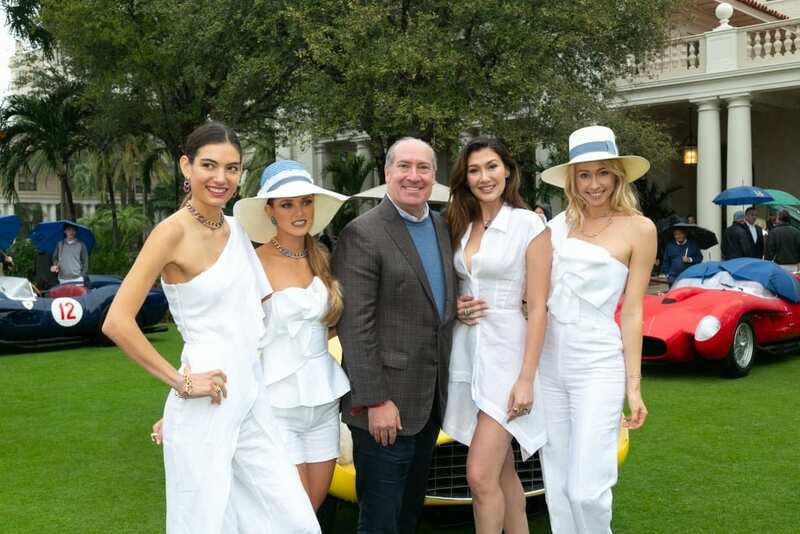 Hamilton Jewelers presented the latest collection of Pomellato with the collaboration of 100% Capri at the Palm Beach Cavallino Classic. The Royal Poinciana Plaza provided a beautiful tent on site to offer the models abri from the rain and cold. More than 400 car aficionados attended this world class showcase where Ferrari owners from around the world united to hare a special camaraderie.